Missing Children Europe launches ‘Remumber’. 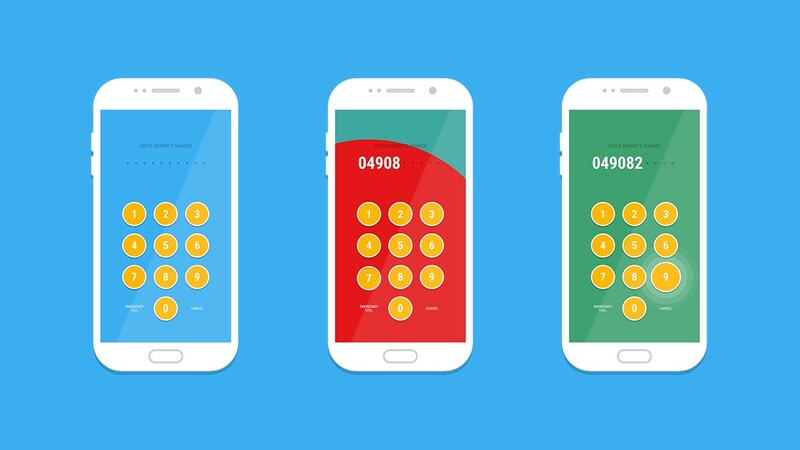 An app that changes the passcode of your child’s smartphone into your phone number. These days more and more children have smartphones. And this group is getting bigger each year. But unlike their parents, this is a generation that doesn’t know phone numbers by heart anymore. These children are used to only having to press an automatic dial button to contact one of their parents or friends. But here lies the problem. What if these children are in a situation where they need to contact their parents, but don’t have access to their phone? How could they contact their parents on another device if they don’t know their phone number by heart? That’s why Missing Children Europe created ‘Remumber’, a smartphone or tablet app that changes the random passcode into a phone number. So instead of entering a meaningless number multiples times a day, they’re now practicing their parents’ phone number every time they unlock their device. Parents can download the app on their children’s smartphone and set the phone number their child should learn by heart. From that moment, each time their child unlocks its phone, they have to enter the phone number of their parents. The first 4 digits of the phone number have to be memorised from the beginning by the child. When the child doesn’t know the following digits yet, Remumber gives a hint by highlighting which digit to press next. The phone number has to be entered correctly as a whole before the smartphone unlocks. And by practicing this number multiple times a day, entering the number becomes an automatism. Remumber was launched in 15 European countries simultaneously, but the app is downloadable for parents around the world.